Sister Wives‘ Meri Brown is stepping out on her family once again. Long after the catfishing scandal that rocked the Brown family, reports say that Meri Brown is seeing a new man — and this one is definitely real. The new man in Brown’s life is reportedly from Hawaii, and she is spending most of her time with him, away from her family in Utah, sources say. “She’s always gone now. She’s always traveling. Meri has wanted to leave for the past year and a half. She’s done,” an insider revealed. 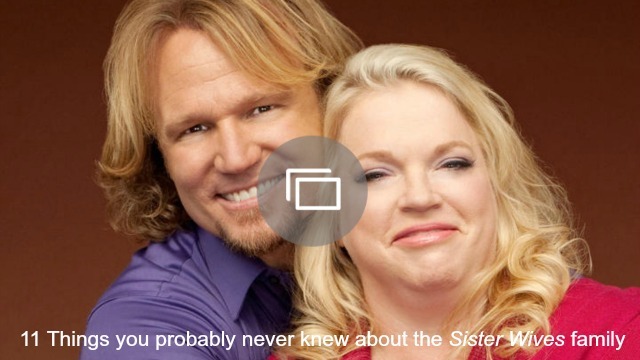 There have long been rumors that the sister wives are fed up with their arrangement with patriarch Kody Brown. And with the show’s ratings steadily falling and talk of Kody taking on another wife (or even two more!) to gain more viewers, talk has intensified that his four current wives are looking for ways out of the family. Meri Brown has always been the closest to leaving. Last year, it was documented on the show that she had an emotional affair with what she thought was a man online. He turned out to be a woman catfishing Brown, who stayed with Kody after the truth came out and seemed to be willing to try to repair their marriage. But Brown, who was Kody’s only legal wife until he divorced her to legally marry his fourth spiritual wife Robin, has never really seemed to get over the affair and the new family dynamic that came with losing her status as Kody’s legal wife. If the rumors about Brown’s new man are true, she’s doing a better job keeping her affair under wraps this time. When she was being catfished, she often had conversations on Twitter with her online lover. This time, there’s no mention on her social media of anyone or anything out of the ordinary.